Susan McCarthy, a financial adviser in Oklahoma City and author of The Value of Money, lists her top four credit card don'ts:1. Don't make only the minimum payments. This stretches out your payment and, thanks to the interest, significantly increases your overall cost.2. Don't carry too many cards. Multiple cards make it easier to rack up debt because it's harder to keep track of your spending. Having lots of cards isn't necessarily bad for your credit, but misusing them is. 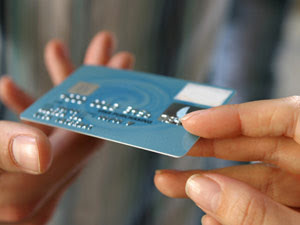 So limit your plastic to two national cards (store cards often carry higher interest rates) that you manage carefully.3. Don't miss payment due dates. Not only will you be hit with a late fee-as high as $39 on some cards-but your interest rate could also jump. Sign up for online banking or pay over the phone if you're up against the deadline. (You may pay a processing fee, but it will probably be less than the late fee and the possible interest-rate hike.)4. Don't take cash advances. These advances generally come with sky-high interest rates and service fees, making them a far too expensive way to get cash. Avoid at all costs.